In a garden visitors often describe as magical, you’ll find beauty that changes with the seasons, a variety of habitats, and a plant collection that showcases New England native plants with complementary specimens from across the country. Garden in the Woods lies just west of Boston, on 45 acres sculpted by retreating glaciers into eskers, steep-sided valleys, and a kettle pond. A shaded brook and wetlands draw a panoply of animals and insects. Light filters through canopy trees onto spring flowers in the newly revived Curtis Woodland Garden, the gateway to a series of habitat displays that pay tribute to the larger New England landscape. Here you’ll find inspiration for your own garden and a new appreciation for the varied plant life of our region. Get directions from your location via Google maps. Open daily, 10 a.m.—5 p.m. Active servicemen and women and their spouses admitted free with valid military ID Veterans receive 50 percent discount with proof of service. Looking for Nasami Farm, in western Massachusetts? Click here. In the wild, the three species native to the region—nodding trillium (Trillium cernuum), white trillium (T. grandiflorum), and red trillium (T. erectum)—rely on moist soil, ample aeration, and soil fungi (mycorrhizae) of the genus Rhizoctonia. These conditions are difficult to replicate artificially, chiefly because of the intricate microscopic fungal interactions taking place in the soil. Over the last decade, we have piloted a successful technique to propagate the common varieties of trillium for sale in our Garden Shops, making them readily available for your garden. But buyer beware. We've observed that even for newcomers to the species, the passion for trilliums is highly contagious. Leave pets at home. Service dogs are welcome. Stay on the paths to preserve our living collections. Do not pick flowers, fruits, or plants. Do not smoke anywhere on the premises. Picnic only on the patio by the Education Building. Reserve in advance when visiting with a group of 10 or more. Come back to marvel at the changing seasonal beauty. We know you'll be absorbed in capturing images, but please take care to stay on the paths—and don't even think about disturbing the plants to get a better effect. Please don't block the paths or stand in the way of other visitors. Want some tips for photographing plants? Download these suggestions from our ace photographer and research botanist, Arthur Haines. For the safety of all visitors and the protection of plant collections and other natural resources, we do not allow bicycles, off-road vehicles, and vehicles or motorized devices used for mobility assistance (with the exception of wheelchairs) on the paths at Garden in the Woods or in our sanctuaries. The terrain is also too steep for most wheelchairs. If you have mobility issues, we welcome you to request a cart tour. Included free with Garden admission, informal walking tours meet in front of the Garden's Visitor Center according to a changing seasonal schedule. No need to make a reservation. If you belong to an organization for adults, like a senior center or a garden club, your group can reserve a walking tour, for a fee (see below). Please reserve at least three weeks in advance. For the busy spring and fall seasons, we suggest booking several months in advance. (If you are interested in arranging a school group visit, please see our school programs page.) Need mobility assistance? We also offer golf-cart tours. Fees for walking or cart tours: $2/person + admission. Our Group and Group Plus members receive a 10 percent discount on one group tour. Remember to order no later than 48 hours before your visit. Questions? Call us: 508-877-7630 x3601. Our fully outfitted classroom is available for rental during the week. Does your garden club need a monthly meeting space? Looking for a completely equipped classroom to hold a workshop or board meeting for your land trust? From June through March, we make the classroom in our education center available for organizational meetings and events for groups of up to 75 people. The approximately 785-square-foot space lies on the building's ground floor, is universally accessible (including bathrooms), and features a wall of windows overlooking the Garden. An adjoining kitchen is equipped with a refrigerator, microwave, and oven. Your group can choose its preferred vendor for food and beverages, or bring self-serve lunches. We do not permit alcohol on the premises. The room is equipped with heat and air conditioning, tables, chairs, and an AV system and screen, all included in the rental. You can set up the room in a variety of ways, including dividing it into two separate spaces with a sound-proof partition. Depending on the season, your group may use the adjacent covered, open-air stone patio, outfitted with wooden picnic tables, for small outdoor sessions or picnics. FYI, we no longer rent our classroom for private social gatherings such as bridal showers, retirement and birthday parties, and so on. Your rental fee includes admission to the Garden for your guests. If you are also hiring a Native Plant Trust speaker and/or booking a group tour (please see above), those fees are additional to the rental. 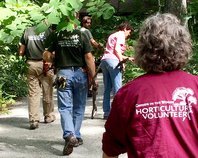 Groups may pay by check made out to Native Plant Trust or by MasterCard/Visa. We require an additional $250 cleaning deposit, which we return to your group if you leave the room in good condition. If paying by check, please bring two checks, one for the rental and one for the cleaning deposit. If the room is in good condition when your group leaves, we will return your deposit check on the way out. If the group pays for rental with a credit card, we would charge the cleaning deposit to the card used to pay for the rental, if warranted. For more detailed information, download our rental info packet and rental agreement. To book a rental or ask questions, contact Public Programs Coordinator Lindsey Schreier: lschreier@NativePlantTrust.org; 508-877-7630 x3303. We have a lot of them to explore. This will help! Call our Garden Shop 48 hours before you visit to order a boxed lunch! 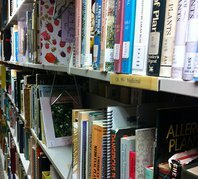 Buy native plants, browse garden books and gifts, or pick up a gift card. Circulating visitor passes to Garden in the Woods and other benefits! 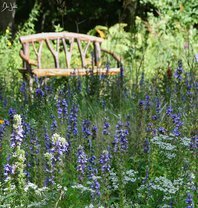 If you love what you experience here, consider contributing to our annual fund, which supports the Garden and all else we do. We need help with many different tasks!